Fruit is often thought complicated for the amateur gardener but this really is not the case. Take the "currant" fruits such as blackcurrants, redcurrants, white currants, raspberries and gooseberries for example. Pruning at the correct time is essential but it is a once a year task. The deep roots ensure that lack of water is rarely a problem and it can almost be eradicated by a deep mulch every two years. Feeding is minimal, a twice yearly sprinkling of some long lasting fertiliser will do the job easily. What could be easier than that? Yes, pests and diseases do occasionally strike but they are less damaging and easier to treat compared to those of many vegetable plants. Our fruit guides take you through the planting, pruning, care and harvest processes in detail. Our date adjuster feature ensures that all dates in GardenFocused are correct for the area of the UK where you live, from Huddersfield to almost sub-tropical Penzance. Easy to care for fruits which give a harvest early in the year include blackcurrants and gooseberries. 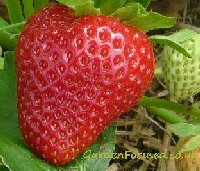 These produce fruit in late spring and what's more, they will continue to do this for many years, decades in some cases. Understand the difference between summer fruiting and autumn fruiting raspberries and you can have fresh, home-grown fruit in mid summer and again in autumn. Raspberries also have the huge advantage of being very cheap to grow whilst at the same time being very expensive in the supermarkets. They also grow new plants without any help from you so three raspberry plants can easily become ten plants after three years or so. 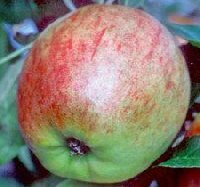 For autumn fruit, apple trees are the easiest and most reliable to grow. Pruning is not as complicated as some articles make it sound and apple trees are very forgiving trees if you don't get it correct the first time. When you have mastered an apple tree for two or three years then plant a plum tree, slightly more complicated but the experience gained from growing other fruit will stand you in good stead. If you are unsure about your abilities to grow fruit in your garden the blackcurrant bush is for you. Get the planting conditions and these bushes are fool proof. They will produce a delicious crop in the coldest parts of the UK every year. Fruit is not only for the large garden, almost all fruit bushes and trees will grow well in containers. They do require more frequent watering and feeding compared to those grown in open ground but most of the other care tasks are the same. All our fruit pages in GardenFocused have instructions for growing perfect fruit not only in open ground but also in containers. So if someone asks you what you would like for a Christmas or birthday present then tell them you would like a fruit tree or bush. Their gift may well outlive you and very few gifts can do that!